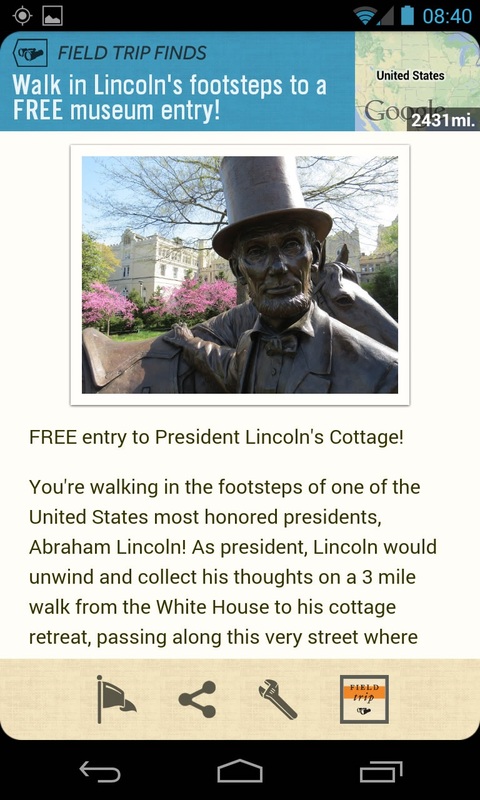 Lincoln’s Cottage is one of 23 Museums and Zoos offering free admission for Google Field Trip app users. Can technology help re-connect us to historic places? Google Field Trip, the free location-based app that helps users discover points of interest in their immediate vicinity, is partnering with President Lincoln’s Cottage to do just that. Field Trip users periodically receive notifications about historic sites, eclectic bars and restaurants, and live events going on nearby. For the month of July, Field Trip is highlighting President Lincoln’s Cottage as a top “Field Trip Find,” and up to 220 Field Trip app users will gain free admission to President Lincoln’s Cottage. 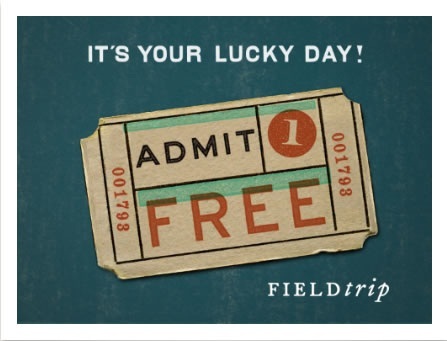 The National Building Museum and the National Museum of Crime and Punishment are also offering free admission to Field Trip app users for a limited time. Field Trip App from iTunes here. Field Trip App from Google Play here. A Toastmasters group meets regularly at the Armed Forces Retirement Home, and Friends of the Soldiers Home would like to extend an invitation to anyone in the community to participate. Want to polish those public speaking skills? Grow the size of your network? Have a good time? Toastmasters may be the answer. Residents were in high spirits July 2 for the monthly Saloon Night With Friends event. 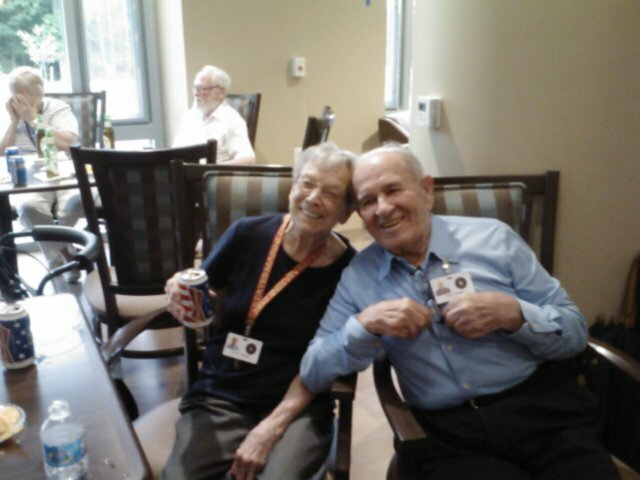 On July 11 a half-dozen Friends volunteers went to the Soldiers’ Home for another great Jingo game. This was the second game in the new Scott Building Community Center since we adopted the event in early 2012. About 20-25 veterans played, 10 from assisted living. Our veteran friends left saying they enjoyed Jingo more than Bingo. We expect to have even more when we return for our next game Aug. 8th! Jingo was a great followup to our previous volunteer event, Saloon Night With Friends, on July 2 at the Scott Building’s Defenders Inn. Acoustic guitarist Alan Bjerga performed on behalf of the Friends, who brought along six volunteers and provided drinks and snacks. Alan had song sheets to share, and the highlight was his rendition of the anthems from each branch of the Armed Forces. Many of the 50 veterans in attendance sang along, and some stood proudly when the song from their branch was played. Our next Saloon Night is Aug. 6. Don’t forget, our third regular monthly volunteer event, called Happy Hour, will be held July 30. 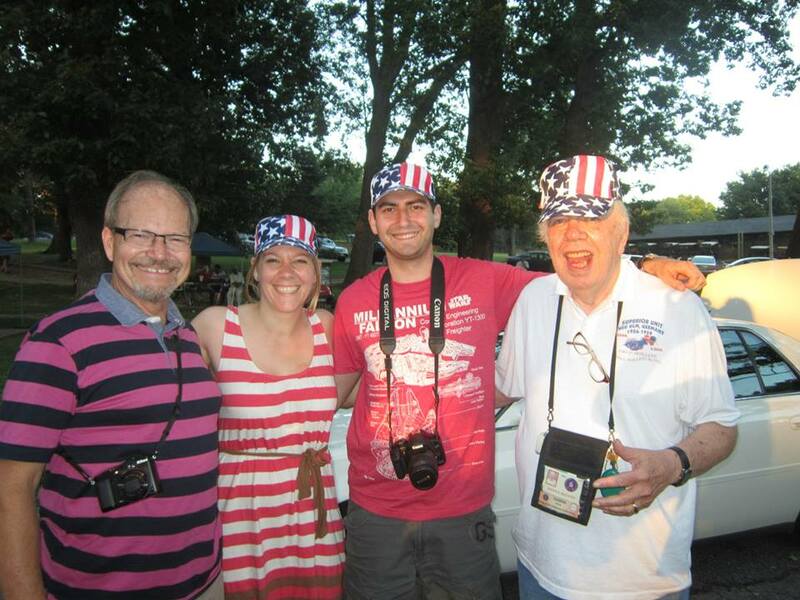 The 4th of July event was enjoyed by both AFRH residents and visitors alike. Our July 4 celebration required tremendous help to succeed. The residents of the Armed Forces Retirement Home. Your graciousness in opening up your beautiful campus to the community made this event possible. The staff of the Armed Forces Retirement Home; your help in planning and executing this event, and your assistance in providing materials, is deeply appreciated. Trout Unlimited, which provided fishing poles, bait and several volunteers, all of whom worked hard in the hot sun so children could fish on July 4, many for the first time in their lives. Friends of the Soldiers Home has the best and most dedicated volunteers in the city. More than 25 of them worked at least two hours each on July 4 to make the event successful. Thank you so much. The Friends of the Soldiers Home July 4 Planning Committee spent months working on this event. They went far and above the call of duty. We deeply appreciate this “fantastic five”: Lori Lincoln, chair; Tamia Datcher, Victoria Taylor Earls, Carrie Green and Alexis Mapes. All of you make leading this organization a great joy. Thank you. Thank you everyone for coming out to the July 4th celebration. It was a huge success! We had 2,300 people participate! Even though the event was bigger than last year, it retained its laid back, family atmosphere. 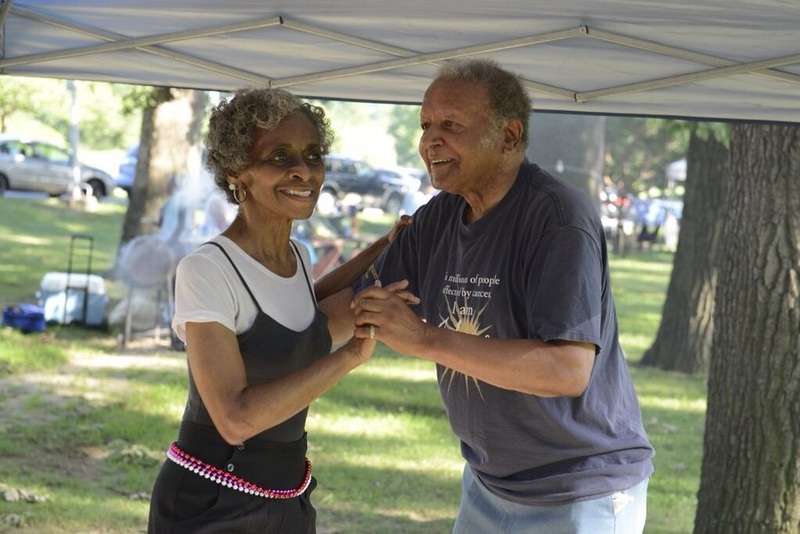 Whether you fished in the pond, rode in the bike parade, sampled delicious food or danced to the music of Billy White as the couple in the photo above did, we hope you had a good time. It was wonderful to see so many children running freely and having a good time. The kids were creating July 4th memories they will have for many, many years to come. Are you eager to do it again? Mark your calendars — our next community event is Oktoberfest on Oct. 6! The Armed Forces Retirement Home, Washington D.C.
Offering delectable treats from the Tender Rib, Stix, Reba’s Funnel Cakes, and, for a return engagement from our successful July 4 last year, Captain Cookie, Lemon Grass Truck and Los Verracos! from one of the best vantage points in Washington, DC streaming music from the show from the Mall! Trout Unlimited is the nation’s foremost organization for restoring fisheries. Catch-and-release fishing is from 4 pm to 7 pm. Poles and bait provided. DC Bike House anc Capital Bikeshare will help you decorate your bike, trike, stroller, scooter or skateboard. Decorations provided. Our 4th of July Parade of one hour begins at 7 p.m. and will go by the Scott Building so Soldiers’ Home residents unable to come down the hill to participate will be able to see the decorated bikes! Make Lincoln hats with Lincoln’s Cottage at 4 p.m. and take tour at 4 p.m. half-price for adults, pre-register online at lincolncottage.org, second tour will be added with sufficient demand. Harambee with Baba Ras D is an engaging musical Early Childhood Education experience promoting peace. Don’t miss it at 4:30 pm! He’s Back from 2012 — Home resident and veteran Billy White, The Music Man, will spin the best music you will want to hear on any Fourth of July! Glow sticks, glow necklaces, t-shirts and water also available — sales of these items and the $5 parking charge benefit the sponsor of the this community event, Friends of the Soldiers Home. Carry in your own food and drink if you prefer not to buy from vendors; walk or bike in; take the H8 bus or Metro. The festival is a short walk from the Georgia-Petworth station. Friends of the Soldiers Home is grateful for staff and veterans of the Armed Forces Retirement Home for making this opportunity available to the community. We are grateful for your service.